While Egypt’s security sector and executive branch have for months been entrenched in a self-declared, politicized “war on terror” that has brought about a repressive protest law and a large-scale crackdown on most forms of opposition, decisions in three cases heard in two separate courts on April 28, 2014 reflect an undeniable willingness on the part of the judiciary to join this “war.” First, the Cairo Court for Urgent Matters issued a ruling banning the April 6 Youth Movement, an organization that was instrumental not only in overthrowing former President Hosni Mubarak but also in the earlier establishment of the Egyptian liberal opposition. In addition, the Minya Criminal Court issued a final verdict sentencing 37 to death and 492 to life imprisonment in a mass trial related to violence that took place after the dispersals of the Raba’a and Nahda Square sit-ins; the same court also issued a preliminary verdict indicating a death penalty sentence for 683 others in a similar mass trial. The injunction banning the April 6 Youth Movement (A6YM) comes after lawyer Ashraf Saeed filed a lawsuit accusing the Movement of espionage and of defaming the Egyptian state. According to Saeed, the lawsuit is largely based off of recordings implicating the Movement’s members in the receipt of foreign funding and participation in events like the storming of state security buildings. The Cairo Court for Urgent Matters, which issued the verdict, is a specialized civil court of primary jurisdiction that deals with matters that (1) must be addressed immediately and (2) cannot have legal implications changing the interpretation of a constitutionally-established right. 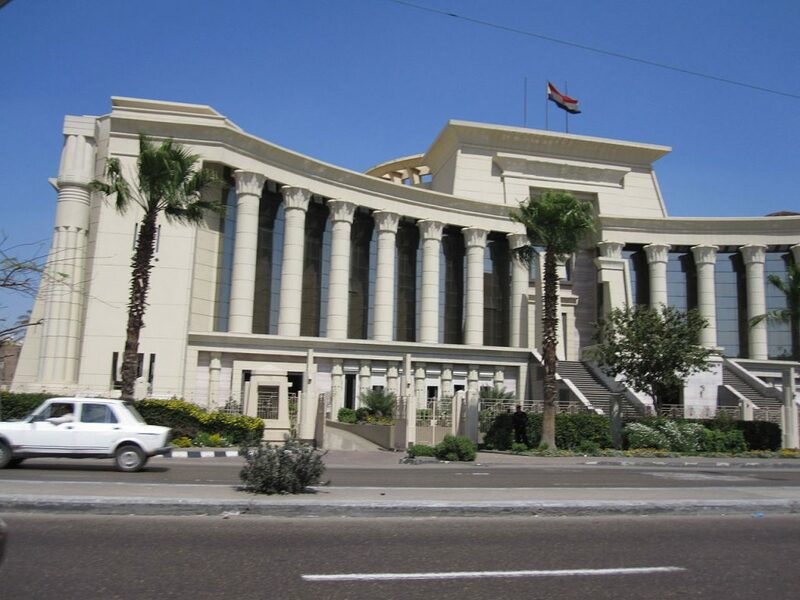 Courts for Urgent Matters across Egypt have the jurisdiction to rule on any urgent matter taking place within the city in which it is located. Previously, the Cairo Court for Urgent Matters issued rulings banning the Muslim Brotherhood and Hamas; it also recently issued a ruling classifying Ansar Bayt al-Maqdis as a terrorist organization. The Court often receives and decides to review high-profile cases, issuing opinions accordingly—its rulings are often meant to pave the way for either the issuing of a more permanent verdict by a higher court or the promulgation of executive decrees that permanently implement the court’s temporary injunctions. The latter was reflected in the banning of the Muslim Brotherhood: the Court issued its ruling against the Brotherhood on September 23, and an official presidential decree to the same effect was issued on December 25 confirming the court’s opinion and ensuring its enforceability. Over a hundred miles away in the Minya Criminal Court, Judge Saeed Youssef issued a preliminary death sentence verdict for 683 Muslim Brotherhood members who have been implicated in crimes that include attacking the Adawa Police Station and killing police officer Mamdouh Kotb Mohamed Kotb. Youssef also issued the final verdict in another Muslim Brotherhood-linked case involving charges of storming the Matay Police District building and murdering deputy commander Mostafa El-Attar. In this case, Youssef affirmed earlier death sentences for 37 individuals (17 of whom are at-large) and commuted death sentences to life imprisonment for the remaining 492 people (372 of whom are at-large). The verdict in this latter case, which was preliminarily announced on March 24 and later sent to the Grand Mufti for his non-binding opinion on the capital punishment sentences, came during what was only the second session of the trial. During the first session, lawyers for the defense alleged that they were prevented from presenting their arguments, and the prosecution offered no evidence. A number of the accused were also tried in absentia; according to Egyptian law, those tried in absentia do not have the right to a defense. While the Prosecutor General has indicated his intent to appeal the verdict and the defense maintains a right to appeal the verdict within 60 days, it is unclear what effect such actions would have on the ultimate enactment of the sentences handed down to the accused. Some have denounced Judge Youssef’s acts as anomalies that do not represent the state of the Egyptian judiciary; one judge anonymously referred to the earlier mass-death-sentence verdict as an “‘individual case’ of a judge aiming to show ‘his political allegiance’ and ‘send a particular message,’” suggesting that the verdict would almost certainly be successfully appealed. The appealability of a verdict is less relevant however, when the process that delivered the verdict is itself ailing. In fact (and unfortunately), there are a number of factors indicating that Judge Youssef actions, while perhaps especially exaggerated in their disregard for due process, reflect an increasingly worrying trend within Egypt’s judicial system to “protect the state” in a manner that has clear political overtones. 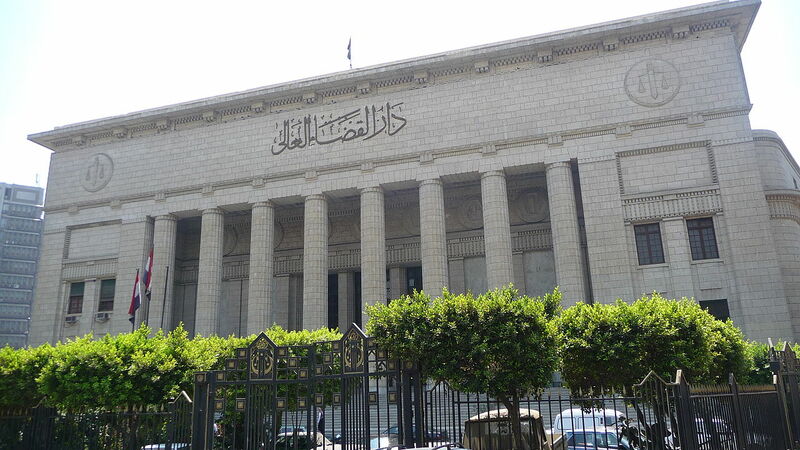 Historically, Egypt’s judiciary, made up of about 15,000 judges and prosecutors, has been one of the country’s strongest and most independent institutions. While some judges remained allied with Mubarak throughout his 30-year rule, the judiciary was also the source of serious calls for reform around the mid-2000s. The history of the institution itself has in fact helped it to solidify a strong legal framework and develop an internal sense of autonomy. However, it is also true that the judiciary has been negatively affected by a number of factors, among which are (according to constitutional expert Dr. Nathan Brown): executive appointments of key judicial officials; a carrot-system that rewards cooperative judges; a strong sense of loyalty to the Egyptian state; a sense of corporate independence in which positions are often passed from father to son and in which judges are increasingly responsible not only to the law and their consciences, but also each other; an overly authoritarian set of decrees, laws, and constitutions upon which to rely; and the poor quality of evidence handed to the institution by the country’s problematic security sector. Since the January 25 Revolution, the judiciary has been involved in a number of politically charged cases that have been subject to extensive public and media attention, including the Mubarak trial regarding the killing of protesters, the Port Said Massacre case, issues of constitutionality regarding the Shura Council and the Constituent Assembly, and—as seen now—cases of espionage and prison breaks that implicate Morsi and other high-profile Brotherhood figures. On the procedural level, a number of worrisome indicators are also evident. The twin trends of holding mass trials and trying individuals in absentia—while efficient for delivering immediate results—reflect a willingness on the part of judges to put expediency above justice and revenge over truth. Per Articles 96-98 of Egypt’s new Constitution, a defendant is innocent until proven guilty and is guaranteed both the right to litigation and the right to a defense. A process that results in blanket verdicts against hundreds after only two court sessions clearly prevents defendants from: fully presenting the facts of their case; distinguishing themselves from other defendants; and reviewing evidence that the state is allegedly harboring against them. Further procedural questions stem from an apparent disregard for an evidentiary standard that should ensure that evidence is relevant, collected in a legal manner, and separated from matters of hearsay. Moreover, a judicial system that increasingly encourages the use of prosecution in absentia, especially when many are not properly given notice of the proceedings taking place against them, further eats away at the basic rights of the accused. Finally, the willingness of courts like the Cairo Court for Urgent Matters to take on specific types of cases that primarily involve serious implications for freedom of speech, expression, and assembly at a time of national security crisis is problematic. These Courts were originally set up to deal with immediate matters that could not be addressed in a timely manner via the regular court system or legislative action; the politicized nature and disproportionate selection of cases for the Court’s docket only detracts from its legitimacy and raises questions on the cases it takes on at the expense of more pressing matters. In a society in which the arrest and questioning of journalists is aired on satellite television, pictures of detained Muslim Brotherhood leaders are leaked on social media, and television anchors irresponsibly discuss the details of ongoing court cases, defendants are presumed guilty until the off-chance in which they are found to be innocent. Judicial disregard for the very principles that are at the heart of any defensible, modern judicial system will only encourage the disintegration of a system that is meant to remain immune to political events and stand, perhaps, as the voice of reason at a time of national turmoil. In recent months, the Egyptian Cabinet has issued legislation and decrees limiting civil rights that the Ministry of Interior and security apparatus have willingly implemented via disproportionate means. Today, the judiciary’s actions come as a stamp of approval for both.